PALM BEACH GARDENS, FL--(Marketwired - Jul 22, 2015) - As part of his mission to provide the most advanced periodontal treatments available, Dr. Daniel Lauer, a board-certified periodontist in Palm Beach, has added the new micro-IDent®plus11 to his practice. With this state-of-the-art technology, patients of Precision Periodontics & Implant Dentistry can receive an enhanced diagnosis of their periodontal disease, allowing Dr. Lauer to provide a more personalized treatment plan for optimal results. The micro-IDent®plus11 by HAIN Lifescience works by identifying periodontopathogenic bacterial species, which are the major cause of periodontal disease. Dr. Lauer explains that this process begins with the patient coming in for their exam, at which point he can guide the sterile, cone-shaped paper into the patient's periodontal pocket. Once a sample has been collected, he sends it to be cultured and analyzed. He says this creates the ability to understand the specific type of bacteria that is present. With this information, he can recognize the most appropriate antibiotic to be used in their gum disease therapy. Dr. Lauer explains that this non-invasive process can lead to a higher success in treatment, as well as a dramatically lower rate of relapsing. He believes the micro-IDent®plus11 can provide for the most efficient therapy and a long-lasting treatment outcome. While the technology is new to his Palm Beach periodontics practice, Dr. Lauer reports being especially pleased with the results thus far and looks forward to utilizing the system more to consistently provide the best periodontal care possible. After graduating with honors from the University of Florida--College of Dentistry, Dr. Lauer furthered his training at New York University in a periodontics and implantology residency. 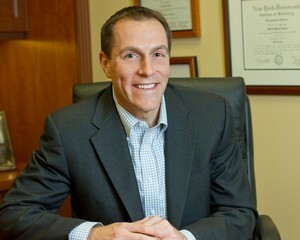 He achieved board certification when he became a Diplomate of the American Board of Periodontology, and is a member of several professional organizations, including the American Board of Periodontology, the American Academy of Periodontology, the Academy of Osseointegration, and the American Dental Association. He has dedicated his career to helping patients achieve optimal oral health by promoting periodontal health and providing effective tooth replacement options. Dr. Lauer is available for interview upon request. The practice can be reached online at precisionperio.com and facebook.com/pages/Precision-Periodontics-Implant-Dentistry/611243338891349.